SUMMARY: Is this the “ultimate” game pad? 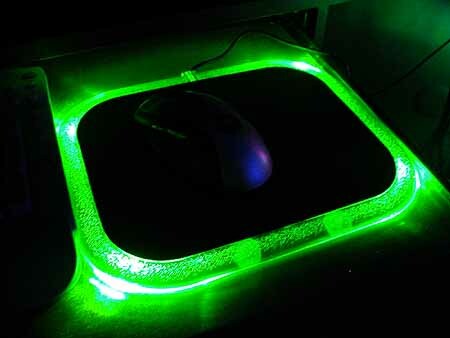 have sent us a new item to have a look at; Flexiglow’s Fx Game Pad. The mousing area is 9.5″ x 7.5″. The cord is 6 feet long. Three LEDs in each corner provide all the lighting. necessary. I found that with just the four pre-installed feet, occasionally the pad would tilt up, if too much downward pressure was applied on the front edge. I put the additional two feet along this edge for extra support. I tried one centered first, but two worked better. Those LEDs, close up. 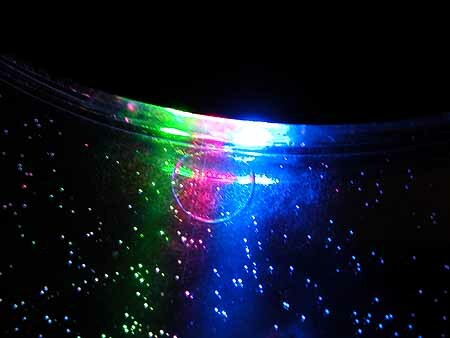 Green, red, and blue. When you first plug this item in, it runs through a brief “self test” mode. 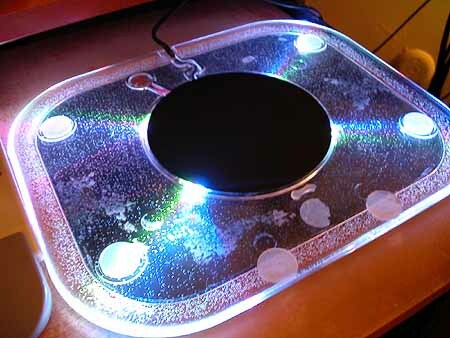 It cycles through all of the lights and then turns itself off. Using these three colors, and combinations thereof, allows seven different color choices, with an additional automatic “cycling” mode, through all the colors. Pushing the button once changes to the next color, a second time shuts the lights off (there’s an “off” setting between each color selection). I didn’t include a picture of two colors, those being yellow and aqua. Aqua is very close to the blue color visually. Yellow is very similar to the clear. The auto cycling feature flashes in a repetitive sequence. As nice as all those lights are, in my opinion, they aren’t even the best feature of this item. This is. just sanded the keyboard shelf of my computer desk smooth on the right side, using up to 1500 grit wet/dry sandpaper. It wasn’t very “pretty”, but it worked pretty well. I’m not one of the “enthusiasts” they consulted, but they must have spoken with some good ones. 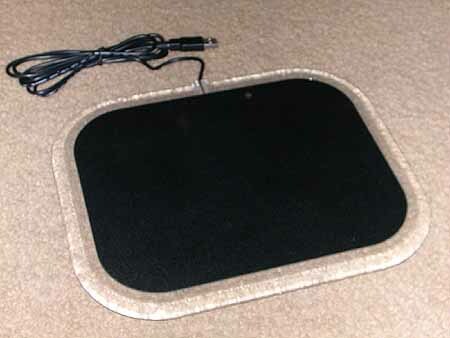 This mouse pad is far and away the best I’ve ever used. realize what’s going on, and start instinctively recentering the mouse on the pad when it happens. warranty, so consider that point if you consider this. 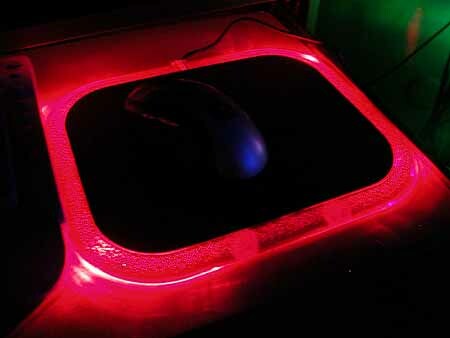 As more product designers tap into that +5v line supplied by every USB port, it’s enabling all kinds of peripherals to be “illuminated” in one way or another. “combinations” are slightly brighter still. if necessary than make a cable longer, so it’s good to see the cable here is more than sufficiently long enough. It’s a bit on the “pricey” side, but the quality, function, and features definitely make this an item worth considering. 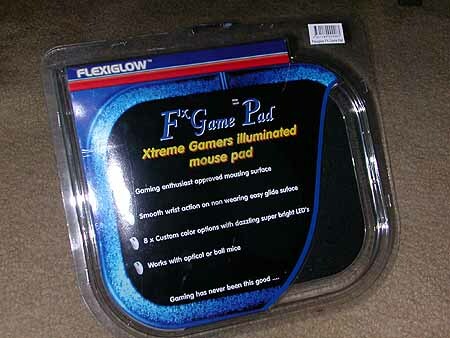 for the “ultimate mouse pad” might finally be over. this item out for us to review.